After you have found your London home, it is time to get the basic utilities working and registered in your name. Even if you are renting and not owning the property, you are responsible for paying for the utilities used. The previous owners or tenants should have closed their utility accounts with the providers. If they have done so, the utility companies will send a letter addressed to “The New Occupier” asking you to provide your details for the account opening. In England gas is traditionally used for central heating and warm water and electricity for appliances. Kitchens have either gas or electrical stoves. The first thing you need to do after receiving the key to the property is to check the gas and electricity readings. You will be asked these when you open your gas and electricity accounts. There are several gas and electricity suppliers in England. You can choose a different supplier for each, or one company that supplies both. In the beginning, with all the hassle with the move, it is easiest to open an account with the current providers. However, if you feel that you could get a better deal with a different one, you can change suppliers immediately or later on. Changing suppliers is not difficult – your new supplier will do basically all the work for you. To decide which energy companies to choose, compare different suppliers in the web. There are several comparison sites where you can do this. To use these sites you need to estimate your energy consumption and decide what kind of payment method you want. If you don’t know your usage, ask your current supplier if they can predict it based on the household size. Use only comparison websites that are accredited by the Consumer Focus Confidence Code. This guarantees that the information they give is impartial and up-to-date. If you don’t know your current suppliers you can find them out by calling 0870 608 1524 for gas and 0845 601 5467 for electricity. In London only Thames Water supplies the water, so contact them to open your account. Depending on the property, you either receive a fixed water bill, based on the rateable value of the property, or your water is being metered. In the latter case, you should read the water meter when you move in and give this reading to Thames Water. If you don’t have a water meter but feel that it would be more economical to have one, ask your landlord to have a meter installed. Thames Water installs meters to domestic properties free of charge. You can buy your phone, broadband and television services from different companies or bundle them up with one or two companies. Bundle deals are usually a cheaper option. However, they can require longer deals and switching providers is more complicated. Comparing different deals is also hard since bundle packages from different companies are never exactly the same. You will need a landline phone not only to make calls but also, most probably, to have broadband connection. BT (British Telecom) owns almost all the phone line cables but it is not necessary to be their customer. You can also buy the services from a different supplier, who rents the lines from BT, and then sells them forward to you. Alternatively, you can buy the line rental from BT and the phone calls from another provider. There are several mobile phone operators in the UK. You can choose between contract (includes fixed amount of calls, texts and data plus the handset), pay-as-you-go and SIM-only services. However, as a new arrival, without UK credit history, pay-as-you-go might be your only option if you don’t want to pay a £100-200 deposit. Ask if and when the deposit will be returned to you. When choosing an operator, besides their packages and charges check also their coverage in your area. If you bring your own mobile phone, check its compatibility with the UK networks. 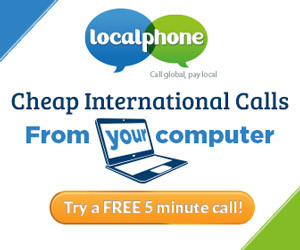 To keep in touch with family and friends in your home country, check the international call charges. You might want to consider using a call override service or Skype to reduce your phone bills. To choose a broadband provider, check the online comparison sites which companies serve your area. Besides the price, check what speed they can provide you. However, bear in mind that the maximum speed advertised has to be achieved only by 10% of customers. Thus, the speed you’ll get will most likely be slower. Also remember, that you might need to have a functioning phone line before the broadband service can be set up. Alternatively or additionally to broadband linked to your house, you can choose a mobile broadband. In this case check its coverage in the areas where you are most likely to use it. All TV services in UK are digital. TVs sold nowadays have a built-in Freeview tuner, which allows you to watch over 40 channels subscription free. You only need a rooftop aerial and Freeview coverage in your area. With Freeview HD television or digital box, you can also watch several high-definition channels. For more channels, get a cable or satellite TV subscription or internet-connected services. To watch any television programmes, either with TV, computer, mobile phone, games console, digital box or DVD/VHS recorder, you need to have a valid TV license. Sign up with utility providers.